These economical stainless steel salt and pepper shaker sets are of light weight and are availbale at market leading prices. Avail from us the precious Brass MOP Mother of Pearl Salt & Pepper Shaker for décor as well as gifting purpose. We offer a contemporary range of Salt and Pepper Shaker Sets to our esteemed customers. We offer these salt pepper shakers in different colors, styles, designs and patterns. We provide these products timely and at economical prices. We are well known for providing the best quality Salt and Pepper Shaker. 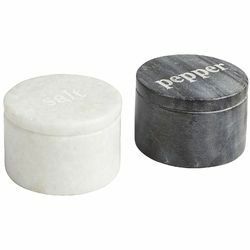 The offered Salt and Pepper Shaker has been manufactured using high-grade material and latest technology in compliance with set industry rules and guidelines. The complete array of this product is checked for quality by our experienced quality checkers. We are manufacturer and exporter good quality of salt & pepper different styles decorative salt & pepper set. Wooden salt & pepper aluminium salt & pepper set. Spice up your next dinner with this Salt and Pepper Shaker Set. 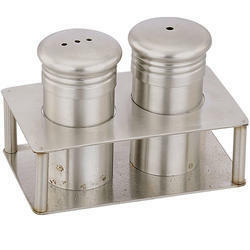 We offers Stainless Steel Salt & Pepper Shaker Set to our clients. We are manufacturers of wide range of Expresso Stainless Steel Salt Pepper. These are designed and developed using top quality raw materials and using best available techniques. Our products are admired for their designer appearance, fine finish and durability. Made from high quality STAINLESS STEEL under the guidance of expert Staff. The product can also be customized as per the requirment of the customer.